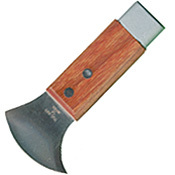 Weighted lead knives are so called because of the moulded lead attached to the handle. This makes it a multipurpose tool as it cuts the lead, taps the glass into the correct position and then hammers in the horse shoe nails to hold the glass in place. 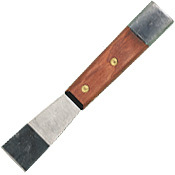 To work efficiently your lead knife needs to be kept nice and sharp. 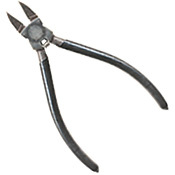 Lead cutting pliers are similar to side cutters and prove a good alternative when wanting a sraight cut across some narrower leads.